There is a common misconception about the purpose of estate planning. Many people mistakenly believe that an estate plan is intended to simply transfer Asset A to Person X; a dry, legal document focused solely on stocks, bonds, property, etc. This is not accurate. An estate plan is a symbol of love and concern for the people you care about the most. It is a representation of your desire to protect your family and loved ones. An estate plan, in many ways, can be a reflection of your values. A prime example of this principle is the estate of celebrity Anthony Bourdain. His Last Will and Testament was probated in New York and many media outlets were aghast to learn that Bourdain’s will was “only” worth around $1.2 million. Some people went so far as to criticize Bourdain for not having a higher net worth; never mind the fact that an estate valued at more than $1 million put Bourdain in the top 3 percent of all Americans in terms of wealth, according to a great Wall Street Journal article. People ignored the fact that Bourdain took steps to protect the people he cared about the most. For example, Bourdain’s will took steps to ensure his only child received the bulk of his estate. 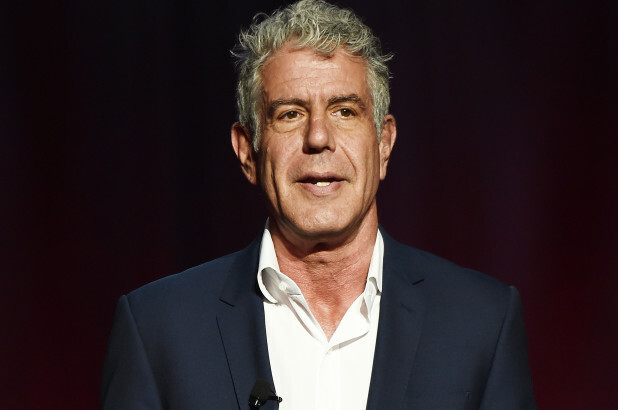 He also stipulated that his frequent flyer miles should be transferred to his estranged wife and she could utilize them “in accordance to what she believes to be his wishes.” Bourdain’s final message, as articulated through his estate plan, was not stocks and bonds, but about continuing to grow and maintain your curiosity throughout life. Bourdain also stressed taking care of the ones you love most. Bourdain left a Last Will and Testament to detail how he wanted his assets distributed, which is perfectly fine. However, there are an array of estate planning techniques and strategies you can utilize to protect your protect your loved ones and reflect your values. For example, you could establish a revocable living trust rather than simply leaving a will. Living trusts are great because they enable you to pass your assets to your loved ones without having to deal with the hassles associated with probate. Furthermore, you can alter a revocable living trust however you wish while you are alive. That means you can add funds, take out funds, add or remove beneficiaries, and so forth. If you are interested in creating an estate plan, take action now and contact InSight Law. Our team of legal professionals are ready to help you create the best plan possible for your family. When someone passes away, there is an assumption many people make that the family and friends of a decedent will be left in charge of their deceased loved one’s estate so they can divide any possessions appropriately. Unfortunately, this assumption is not accurate. There are rules and regulations in each state concerning the distribution of assets maintained in an estate and who is ultimately empowered to make those decisions. If you do not have an estate plan, or you have an outdated estate plan, you are heightening the risk that someone you are not very close to, or may even dislike, will be left in charge of managing your assets. Take, for example, the tragic and sudden passing of CNN host Anthony Bourdain. 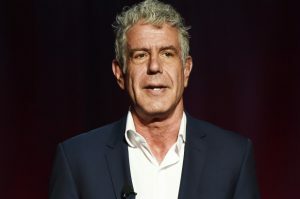 It turns out that his estranged wife, MMA fighter Ottavia Busia-Bourdain, is empowered to decide whether his remains are transported back to the United States since she is legally the next of kin. Mr. Bourdain and Mrs. Busia-Bourdain decided to separate in 2016, but their divorce was not officially finalized before his sudden death, and the funeral arrangements for the star are being held up in the process, according to news reports.This caused Mr. Bourdain’s mother to speak out concerning the frustration she, and other loved ones have felt, as a result of the delay. To add to the awkwardness, Mr. Bourdain was in a relationship with an actress named Asia Argento at the time of his passing. Depending on the specific terms of Mr. Bourdain’s estate plan, assuming he had one, there is a chance his significant other at the time of his passing could be left with nothing. The fact that Mr. Bourdain’s estranged wife could very well be empowered to manage his entire estate is a prime example of why it is so important to be proactive and update your estate plan if you decide to separate from your spouse and are definitely moving forward with a divorce. If you pass on before the divorce is finalized and you do not have a formal estate plan, your spouse will likely be entitled to a significant portion of your assets. This remains true even if you have living children, living parents, living siblings, or living nieces or nephews. If you have life insurance policies and retirement accounts, they are controlled by your beneficiary designations. As a result, if your estranged spouse is the designated beneficiary, they will receive the payout from those policies. If you do not want your estranged spouse to be involved in your estate, you need to either amend your estate plan or create a new plan. You also need to modify the beneficiary designations on your retirement accounts and life insurance policies. As you can see, when a major life event occurs (e.g., separating from a spouse), you need to take action sooner rather than later to ensure all of your vital trust and estate planning documents are in order and properly updated. This can be accomplished most effectively with the guidance and assistance of an experienced trust and estate lawyer. Contact InSight Law to schedule a meeting today. Our team of professionals is here to help. Most people have a general idea of what a Last Will and Testament is and the purpose it serves. However, if you mention establishing a Living Trust, many people will look at you quizzically with no idea what you’re referring to, or they’ll mistakenly claim that a Living Trust is reserved for “rich people.” This is not the case. In fact, there are many misconceptions surrounding Living Trusts. Below are some of the most common myths about Living Trusts and important facts you need to know. This is, by far, the most common misconception surrounding trusts – they are only worthwhile for people who are wealthy. Not so. The benefits of having a revocable living trust in an estate plan are plentiful and may actually wind up costing you less than the traditional Last Will and Testament. How? Well, the costs associated with probate and court conservatorships/guardianships (which a living trust can avoid) may actually wind up taking a higher percentage from estates of smaller size than simply administering your estate through a trust. There is also the added benefit of being able to manage an estate privately without forcing your family to deal with a court. Actually, creating a trust based plan can have a greater impact for smaller estates. Typical example is if there is a stroke, dementia, Alzheimer’s then the long term care expenses will erode the estate completely if you have not done proper planning ahead of time. Compared to what? If you or a family member incur a long term care health issue your costs could be hundreds of thousands of dollars without proper planning. A well-counseled and detailed living trust may have a higher upfront cost when compared to drafting a cookie-cutter Will but over the life of the plan we have found the costs overall are consistently lower than doing very little up front and letting the chips fall where they may. It is important to spend a little extra time up front to think through common challenges that aging people face and preparing for these issues in advance (long term care, navigating health care options, navigating living options, which resources are suitable for you, asset protection for the spouse or family, etc.). You are paying for a plan not just documents. Assets also need to be titled properly in advance to assure a smooth transition. Word processed documents alone don’t achieve this goal. When you factor in probate costs, the costs of a conservatorship if you become incapacitated and the costs of a guardianship if you leave assets to a minor child, the costs associated with a Will can actually wind up being much higher than the costs associated with established a trust. If you are your own trustee, you will be able to do anything with your assets that you could do before they were transferred into the trust. This means you can buy or sell property, change your trust or even cancel the trust entirely. If you decide to name a third party to manage the trust as trustee, you retain the right to replace the trustee while you are alive and you can transfer that authority to a beneficiary when you pass on. if you are not satisfied. As long as you are your own trustee, you do not pay fees for management of the trust. Successor trustees are entitled to receive a fee, but family members often forego receiving a fee. If you choose a professional trustee, they will only charge a fee when they start to act on your behalf. Furthermore, a professional trustee usually only charges a small percentage that is paid through the trust assets. As you can see, there are many myths and inaccuracies associated with living trusts. If you are interested in creating an estate plan, you should consider incorporating a detailed trust into your plan. To learn more, reach out to InSight Law today. Alkaline Hydrolysis – The Future of “Green” Funerals? In April 2016, Business Insider published an article titled, “Traditional Burials are Ruining the Planet.” More information has surfaced showing the environmental toll that is taken when someone is buried in a traditional casket featuring steel, wood and embalming fluid. Cremation became a popular alternative to traditional burials. In fact, cremation rates have increased to nearly 75 percent in some states, according to the Cremation Association of North America. 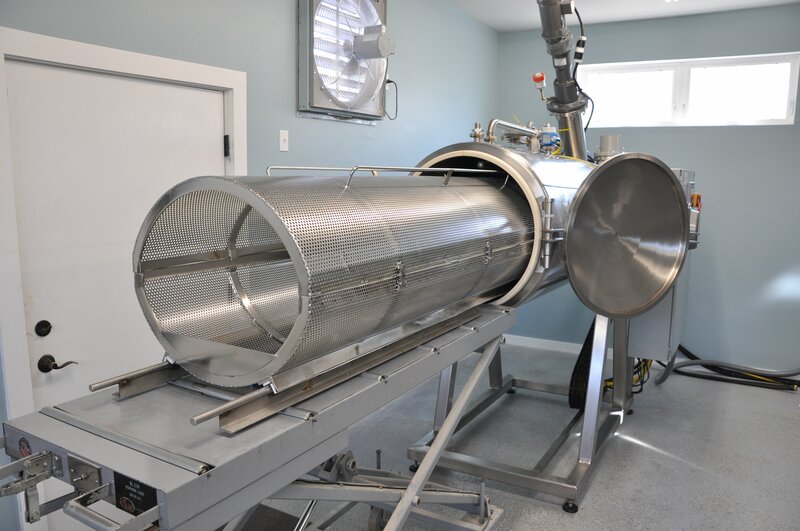 For those people interested in being even more environmentally-conscious are considering a procedure known as “alkaline hydrolysis.” Is it right for you? Can you even do it in the state you reside in? Find out below. What Exactly is Alkaline Hydrolysis? It is a process that has been around for over 100 years and involves dissolving the remains of a human in an alkaline solution. It involves a mixture of water and potassium salt. It is also referred to as biocremation, aquamation, or resomation. The practice of Alkaline Hydrolysis has drawn criticism based on people interpreting the practice as somewhat “gruesome.” This is because the perception of Alkaline Hydrolysis is that a human body is dissolved in chemicals and poured down the drain. It has also raised public health concerns due to the alleged risk that the liquified remains could wind up in drinking water. As of the date of this posting, only 13 states in the United States have legalized the practice of alkaline hydrolysis, including: Colorado, Florida, Georgia, Idaho, Illinois, Kansas, Maine, Maryland, Minnesota, Missouri, Oregon, Vermont, and Wyoming. As you can see, Alkaline Hydrolysis is not legal in Virginia or West Virginia. Though, Maryland residents can utilize this practice, if they so choose. Maryland legalized alkaline hydrolysis in 2010, when the state defined cremation as the “means the process of reducing human remains to bone fragments through intense heat and evaporation, including any mechanical or thermal process,” according to Maryland Business Regulation Code § 5-101. To get more information about final arrangements, including the potential to make your funeral “green,” take the time to schedule a meeting with the legal team at InSight Law. If you’re a diehard Jimmy Buffett fan (also known as a Parrothead) you’ll now have the opportunity to go “searchin’ for your lost shaker of salt” at Latitude Margaritaville, a new Florida retirement community. Jimmy Buffett is partnering with an Ottawa-based developer called Minto Communities to develop the Margaritaville-themed community in Daytona Beach, Florida. The community will eventually have close to 7,000 homes for residents age 55 and older. For example, you will be able to live on Flip Flop Court, Coral Reef Way or St. Somewhere Drive. You’ll be able to take your dog to the “Barkaritaville” pet spa and work out in the Fins Up! Fitness Center or the Paradise Pool. You’ll also be able to take classes at the Workin’ and Playin’ Center or catch a show at the Last Mango Theater, according to The Star. And, of course, you’ll be able to order a Cheeseburger in Paradise at the Latitude Bar & Chill restaurant. In addition, there is a Broadway musical opening that features his music. Oh yeah, and the 71-year-old musician continues to tour with his band. Reports indicate that Buffett’s business ventures bring in around $1.5 billion annually. Some people claim there’s a woman to blame, but Buffett knows his business success is his “own damn fault.” When he was approached about expanding the Margaritaville brand into an active-adult community, Buffett seized on the opportunity. He recognized that it was a “natural fit” since a large percentage of his fans are aging baby boomers who have followed his career for decades, according to the Washington Post. If you hope to one day retire and enjoy the good life at Latitude Margaritaville, you need to have a retirement plan in place, in addition to a detailed estate plan. If you have questions about planning for your future, contact InSight Law today.